Butter is a popular ingredient, important for many types of recipes: from cakes to sandwiches to risottos. However, most people are now well aware that butter isn’t the best choice for your health. The fats in butter are predominantly saturated, and are known to block up blood vessels and increase the levels of harmful low-density lipoprotein (LDL) cholesterol, a key risk factor for developing heart disease. 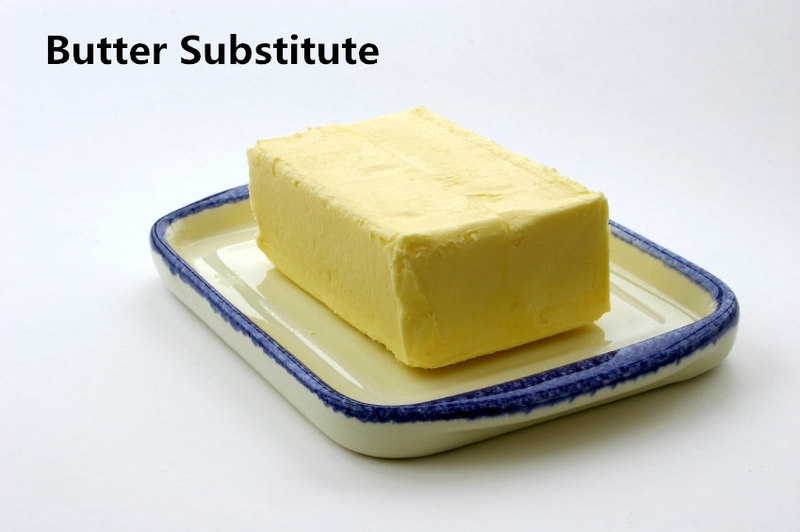 Fortunately there are a number of different ingredients you can use as a butter substitute in your meals. These allow you to still savor the flavor and creamy buttery texture, but with increased nutritional benefits and decreased fat. Regardless of whether you’re making your favorite pastries, or cooking a creamy sauce, the following foods substitute for butter – maybe even tastier! This can be used as an alternative to either butter or oil, but is best used as a cake ingredient. If you can’t find apple sauce on the shelf, try the baby food section for puréed or stewed apple. Alternatively, make your own apple sauce by slowly heating chopped apple mixed with a little water in the microwave until you can mash the apple with a fork. For the best taste, use the apple sauce to substitute for half of the butter you would use, but you can have a higher proportion of apple if you wish. Prunes are well-known gut stimulators, and prune purée is usually available as a baby food to help infants with digestion. However, you can also use prune purée as a butter substitute, and it is low in both fat and calories. It’s particularly good for recipes with cinnamon or chocolate. You can buy the prune purée from the baby food section of the store, or make your own using a food processor. This purée provides a tasty flavor to baked products, such as muffins and coffee cakes. Pumpkin purée has very few calories, plus you’ll be adding extra nutrients to your recipes, including potassium, fiber, and vitamin K. Replace each cup of butter you use with ¾ cup of purée. Pumpkin purée is also an excellent substitute for any oil used in baking. A half-and-half mix of mashed avocado and butter can be used to make soft, chewy baking recipes. Not only is this avocado mix considerably lower in calories compared with butter alone, it also cuts out the saturated fat, replacing it with healthy monounsaturated and polyunsaturated fats. Avocados are also rich in potassium, fiber, and vitamin K. The avocado-butter blend is especially good for baking cookies. Mashed banana is a great low-fat substitute for butter, although you’ll need to experiment with how much you use in each recipe. At first, use half as much mashed banana as you would butter, and mix it in with the other ingredients. Then add more of the banana if the mixture is too dry. You may have to mix in a little bit of butter just to get the best outcome, but the amount of butter you add will be so much less than if you use butter alone. Replacing butter with Greek yogurt is a brilliant means of boosting your baking with extra protein, and keeping your food nice and moist, without loading on the calories and fat. Greek yogurt is full of healthy bacteria and yeast, and gives your cakes and breads a delicious velvety texture. For each cup of butter, use ½ cup of Greek yogurt instead. This oil, also known as rapeseed oil, can be used in any recipes where the butter can be replaced with oil, such as when using melted butter. Unfortunately canola oil is slightly higher in fat than butter, but it makes up for it with markedly lower levels of saturated fats, sodium, and cholesterol. You may need to experiment a bit to see in which recipes canola oil works as a substitute for butter, and what quantities you should use. Toast, pancakes, cookies… there are many different ways you can add the extremely versatile coconut oil to your dishes. This oil shares many properties with butter, in that it is solid when cooled, but melts when gently heated. However, unlike butter, coconut oil is good for you! It has antimicrobial and antiviral properties, contains beneficial medium-chain triglyceride fats, and has been shown to raise the levels of the good cholesterol, high-density lipoproteins. What’s more, you can substitute coconut oil for butter at a 1:1 ratio. Although olive oil is most commonly used for salads and stir-frys, it is also one of the best butter alternatives for use in baking. Just substitute ¾ cup of olive oil for each cup of butter. Olive oil is high in calories, but is actually good for your heart, as it’s full of beneficial unsaturated fat. You can also use it in place of butter in mashed potato and pasta sauce. Almond and peanut butter are delicious when spread on toast, bread, and bagels, and are the perfect alternatives to butter. They’re also full of healthy fats, fiber, and potassium, so make a much better nutritional choice. Another option you may like to try is dipping bananas pieces or strawberries into the nut butter for a healthy breakfast-time snack.